Power Plant Mall Sophistication in Makati. 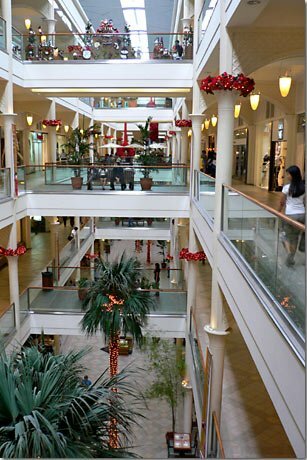 Power Plant Mall, have you been yet? Rockwell’s Power Plant Mall, one of the newer lifestyle shopping malls in the Metro, has become a haven for the elite. Located in the exclusive Rockwell district in Makati City, it is somewhat intimidating, subtly inviting those who can afford to shop. You can view the Power Plant Mall as the nouveau version of a country club, only here, they don’t check for membership cards, just your element of sophistication. True, the ambiance is laid back and you can see a few people in flip flops, but a close look at them, and you realize that even these are branded from Brazil. I have yet to see a pair of good old Islanders here. What is good about the Power Plant Shopping Mall? Shopping may not be on the frugal side, but you are sure to score a few bargains here if you enjoy the local independent designers and entrepreneurs. The Power Plant Mall has an avenue of stalls that sell vintage apparel and accessories, locally designed swimsuits, bags, hand painted bangles and shelves of shoes. Sure it’s not the cheapest place to grab them, but buying them at Power Plant is a lot more convenient seeing that some of these shops hold fort around the metro and in Power Plant they congregate under one lovely air-conditioned roof. Now if you would like to splurge on high fashion, then put Power Plant Mall on your radar, that is if you haven’t already. Some of the stores and products you see in Power Plant are exclusive to the mall, take the “7 for All Mankind” jeans, the Harajuku Lovers line by Gwen Stefani, and the soon to open first ever Michael Kors boutique in the country. This is definitely a place for those who know their fashion. The mall also provides booklovers their sanctuary, with book shops such as Power Books and National Bookstore. It is odd, but shopping at the Power Plant branches is a lot calmer and less hectic than in other branches. Apart from the lure of their shopping, Power Plant is also well stocked with good restaurants. The shopping may be a bit of a splurge but the dining ranges from affordable to pricey. Craving anything? Be it our local fast food chain Jollibee, a buffet of various kinds of barbeque at Brazil! Brazil! or a scoop of Haagen Daz ice cream, you’ll have a handful to choose from. Some of the restaurants are conveniently located beside the movie theatres for that delightful movie experience, or if you want an alternative to catching a movie, order a pizza and feel a little nostalgic, bowling with your friends and family. Some of the restaurants are located outside the mall, dine al fresco, it’s a great way to enjoy the Philippines tropical weather. How do I get to the Power Plant Shopping Mall? 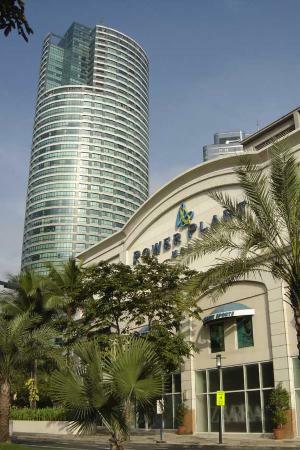 If you reside in Makati, Power Plant Mall is a serene walk or a jog away. Pack in a little exercise. You are lucky you can get to the mall on foot. While for the majority of us who reside outside the Makati area, Power Plant Mall is conveniently accessible via Edsa Avenue. It is also accessible using city’s Metro Rail Transit (MRT), exit Guadalupe station and then you can take a cab or a designated public mode of transportation, like a public utility jeep.